Following the unveiling of Suzuki’s new Katana at the Intermot motorcycle show in Cologne, Germany, the UK debut of the hotly-anticipated re-imagination of an 80s’ icon means the Japanese brand is again bringing one of the biggest attractions to this year’s Motorcycle Live, which takes place from 17-25 November at Birmingham’s NEC. Designed by famed Italian designer Rodolfo Frascoli, the new Katana is heavily influenced by the original machine, but moves the legend into the modern era. However, its lines and angles are still inspired by the hand-crafted Japanese sword with which it shares its name. 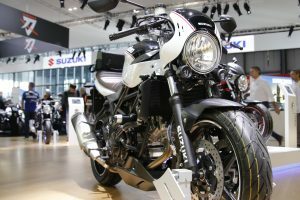 Underneath though, it uses thoroughly modern engineering, with the proven GSX-S1000 platform providing the base on which to build, and it will be displayed in both its original silver and the newly-unveiled black. 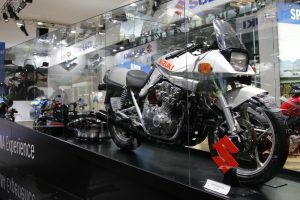 Suzuki will also display a collection of original Katanas to highlight the 2019 model’s inspiration. 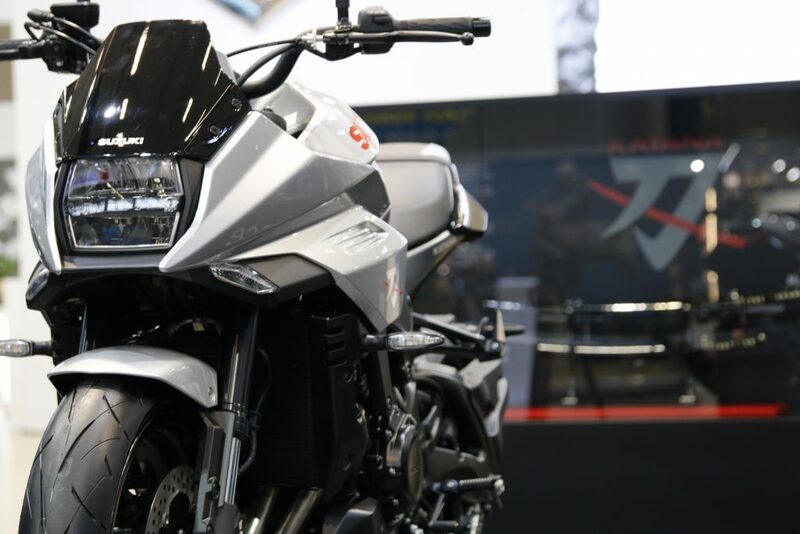 The Katana joins Suzuki’s on-road model range for 2019, the full lineup of which will be on display, including the updated GSX-R1000 and GSX-R1000R, and the ever-popular SV650 which too gets an update for 2019 in the form of new brakes. The all-new RM-Z250 will make its UK debut, and will be displayed alongside the RM-Z450 – which won this year’s British MX1 Championship at the hands of Evgeny Bobryshev – and KingQuad 750 ATV, while the full adventure lineup will feature along with the streetbike and scooter ranges. 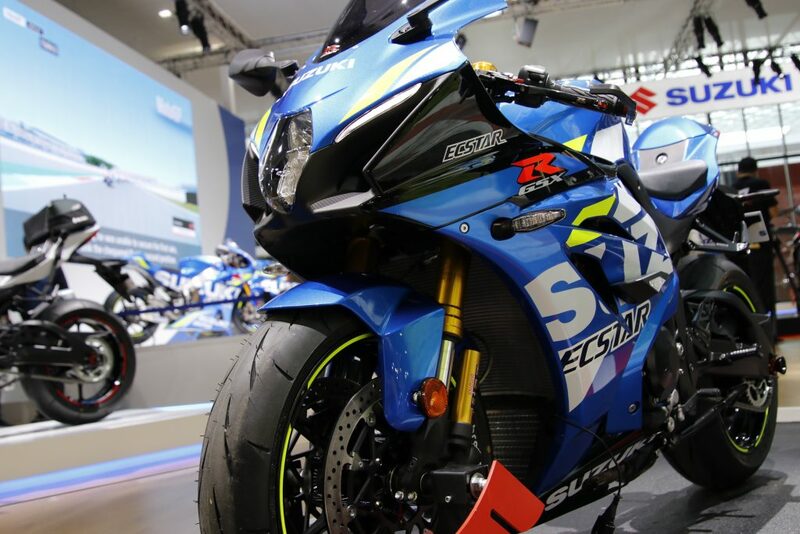 Information will also be available on Suzuki’s exclusive Motorcycle Live offer, which runs from 19-25 November and sees the GSX-R1000R, GSX-R125, and GSX-S125 come with a deposit contribution of up to £1000 and a choice of either free servicing for one year or a free accessory pack worth £1000 on the GSX-R1000R, or free servicing and £250 to spend in store on the 125 machines. 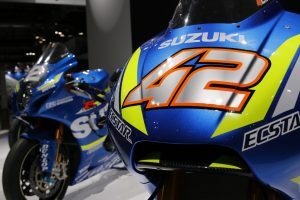 Race fans can enjoy poring over Alex Rins’ GSX-RR MotoGP machine and Bradley Ray’s Buildbase Suzuki GSX-R1000R superbike, or marvel at the lean angles achieved by top level racers with Suzuki’s lean-down experience. 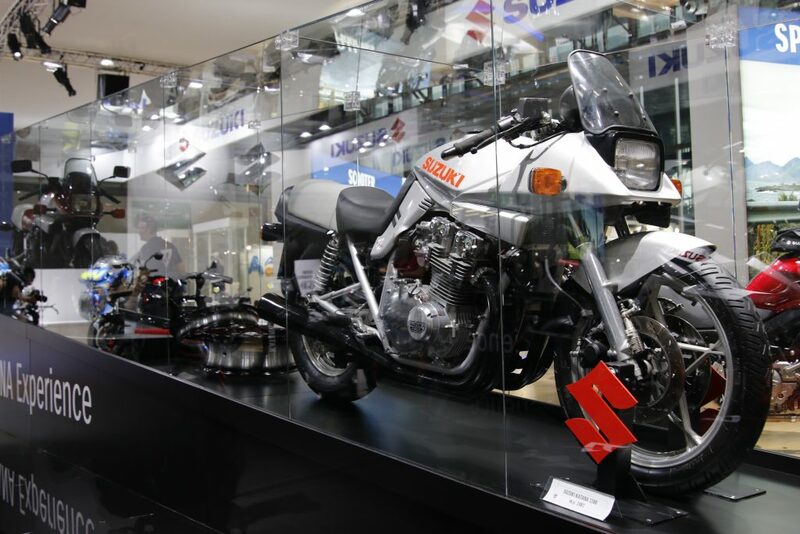 Those more drawn to classic machinery can enjoy the Suzuki Vintage Parts Programme display, which will again wow visitors with another rebuild, this time of the original, factory RG500 test mule and race bike. 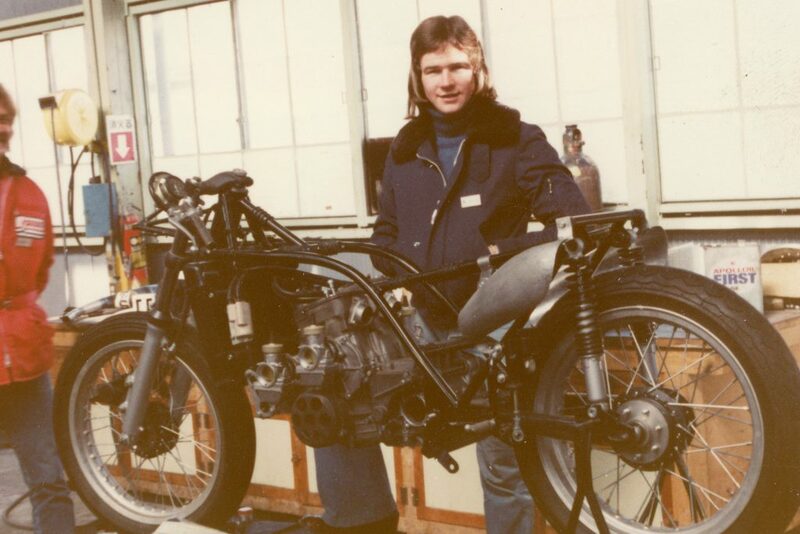 Dubbed the G-54 when it was built in 1973, the bike was a test machine and then raced in a number Grands Prix in 1974. 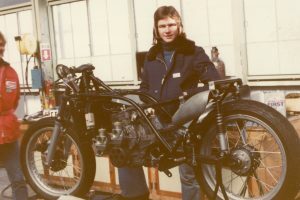 The bike will be rebuilt by former Grand Prix technician Nigel Everett while Paul Smart – who raced the bike in ’74 – will attend on select days. Bradley Ray will also be attending over the course of the show, the British Superbike race-winner present on Tuesday 20 November and again on Saturday 24 November. David Knight, John Reynolds, and Simon Crafar will also be present, with Knight attending on Monday 19 November, while three-time BSB champion Reynolds will join the crowds on both weekends. Motovudu instructor and 500 Grand Prix race-winner Crafar will attend on Saturday 17 November. 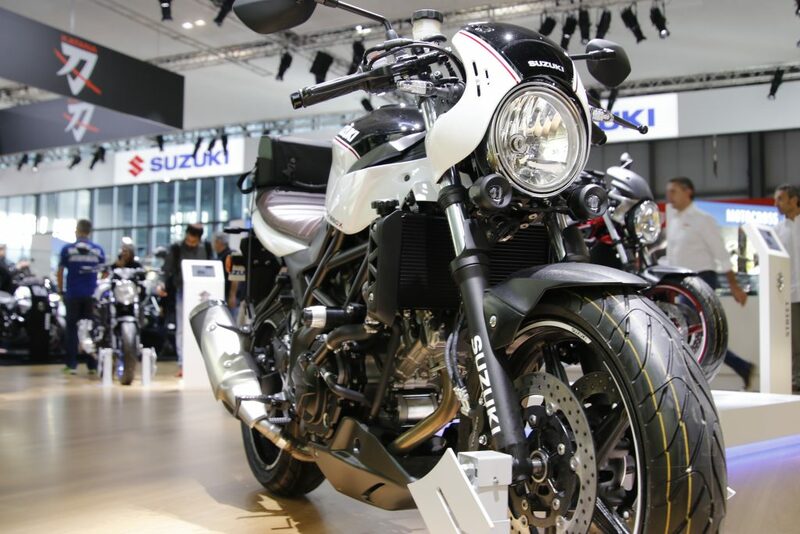 A mainstay of Suzuki’s presence at Motorcycle Live is the Suzuki café, which returns for 2018 offering teas, coffees, and refreshments for visitors, and provides the chance for some respite for tired feet, all for a donation to the Ben fund. Visitors can also grab a scratch card that will guarantee them 10% off any merchandise, parts, or accessory order placed on Suzuki’s online shop, and could reveal even bigger prizes that are up for grabs. 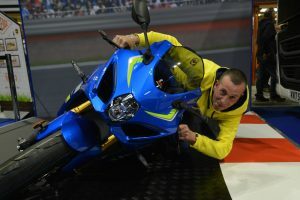 A range of models from Suzuki’s 2019 range can also be taken for early test rides in the Motorcycle Live test ride zone, situated in Hall 3, while those new to two wheels can learn the ropes on the GSX-S125 and GSX-R125 in the Get On area in Hall 4. For more show information click here. For information on Suzuki’s model range, click here.